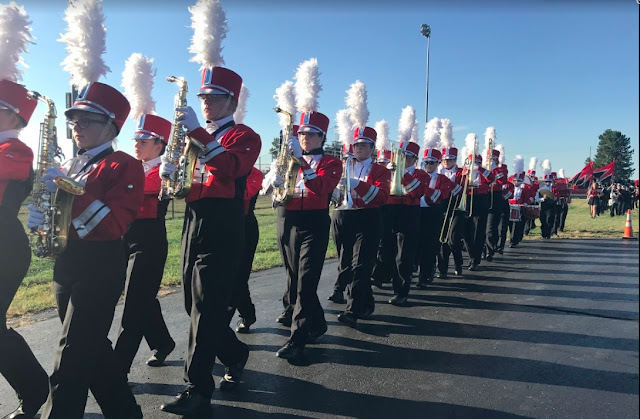 The Fairbanks Marching Band gives its annual performances at Fairbanks Elementary School and the Circleville Pumpkin Show on Thursday, October 22. Band Members will need to be in full uniform for both events so please bring black socks and Drillmasters. Immediately after attendance in home room, band members need to report to the band room to prepare for the concert at the elementary which will begin at 9:30am. We will perform music from pre-game, contest, and senior shows as well as some cheers. We will depart for Circleville around 10:30am and will return to FHS at 7pm. Band members will have some free time at the show and will need spending money for lunch and dinner. 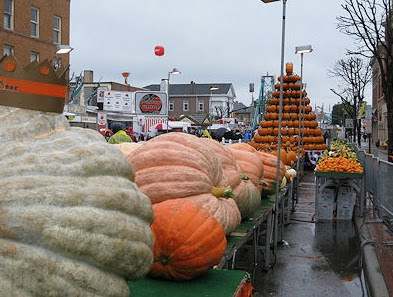 There are also games and rides, so bring an amount of money for your particular spending habits. We will be performing at the 3:30 afternoon parade. Tolles students are excused from classes on that day, as are all members. Band members are responsible for any make up work, in advance if possible. Please arrange with your teachers to make up quizzes and tests and to turn in homework. I don't want this trip to negatively affect your grade. It will be a fun and rewarding day for all involved. Please be prepared for this big day!